Thanks to Funimation Films, two of the most popular anime series are making their way to the big screen at AMC. On August 15 and 16, COWBOY BEBOP: THE MOVIE — KNOCKIN’ ON HEAVEN’S DOOR will screen in both subtitled and dubbed formats. Next month, MY HERO ACADEMIA will make its U.S. big screen debut with TWO HEROES. 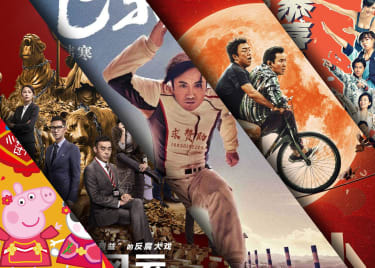 Whether you’re a longtime fan or first-time viewer, you will enjoy seeing these beautiful, captivating films in theatres. Learn more about the titles and get your tickets to COWBOY BEBOP: THE MOVIE today and MY HERO ACADEMIA: TWO HEROES August 24. This year marks the 20th anniversary of Cowboy Bebop, developed by Sunrise Studios and directed by Shinichiro Watanabe. The series became an instant success both in Japan and the U.S. and is often credited as a masterpiece, one of the greatest anime titles of all time, and Western viewers’ introduction to the anime genre. Now, COWBOY BEBOP: THE MOVIE — KNOCKIN’ ON HEAVEN’S DOOR, which debuted in Japan in 2001, will arrive in U.S. theatres for a special two-day screening. In the action/crime anime, what should have been an easy bounty turns into biological war after a terrorist gets ahold of a deadly virus. Drawn in by the pretty price on the mastermind’s head, Spike and the Bebop crew are ready to collect a much-needed reward. Unfortunately, the gang’s about to find themselves in more trouble than money when the terrorist threatens to unleash the virus on Halloween — effectively killing everyone on Mars. With little time and leads that seem more dreamy than helpful, they’ll have to use their own bag of tricks to stop a dangerous plot. AMC will show the subtitled version of COWBOY BEBOP: THE MOVIE — KNOCKIN’ ON HEAVEN’S DOOR August 15 and the dubbed version August 16. Both screenings will feature a pre-show with cast and crew interviews. Get your tickets now, and we’ll see you soon at AMC, space cowboys (and girls). The anime smash hit that’s swept the world will make its U.S. big screen debut September 25–October 2 at AMC. 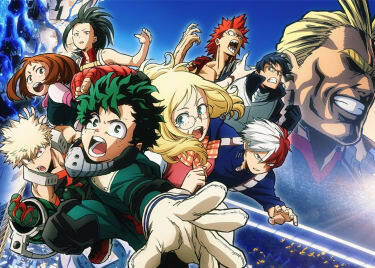 MY HERO ACADEMIA: TWO HEROES opened in Japan earlier this month with strong box office numbers and glowing reviews. Next month, U.S. fans will get to see anime’s hottest new heroes in the wild action/comedy. 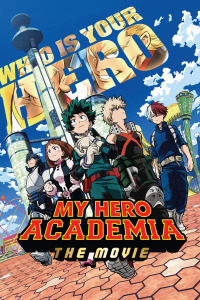 For longtime fans of the My Hero Academia series, the film offers an in-depth look at the larger Pro Hero world, All Might’s backstory and a sophisticated new villain. Though the film ties into the current season, it’s a stand-alone story. 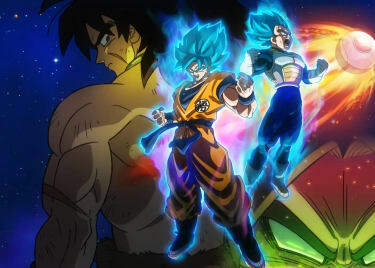 You don’t have to be familiar with the original series to follow and enjoy TWO HEROES, which will be shown with subtitles and dubbed. Everyone is a hero to somebody else. Be a hero to your friends and mark your calendar for a night out at AMC. Tickets for MY HERO ACADEMIA: TWO HEROES are on sale August 24.